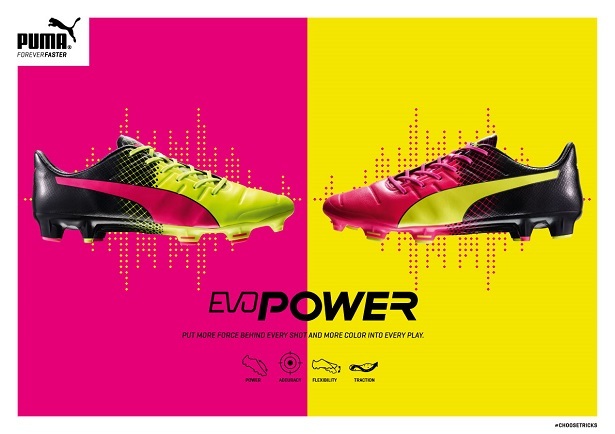 Puma have continued their new tradition of releasing Tricks colorways of their boots before big tournaments, this time unveiling their brand new colorways of the evoSPEED and evoPOWER lineups for the Euro 2016 and Copa America this summer. 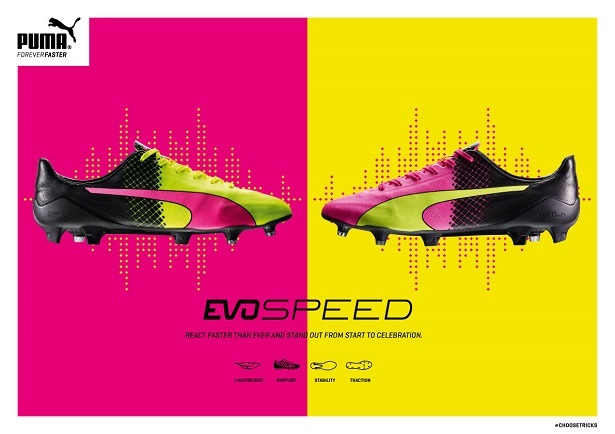 Not only that, Puma has launched the evoSPEED 1.5. The Tricks colorway will be on the newly unveiled evoSPEED 1.5, evoSpeed SL, and evoPOWER 1.3, as well as some apparel and the evoPower 1 ball. Former Cameroonian international, Rigobert Song, who famously wore two different colored Puma King boots during a World Cup match in 1998, inspired the Tricks design. Song is quoted as saying “you must be bold” to wear two different color boots at the same time. 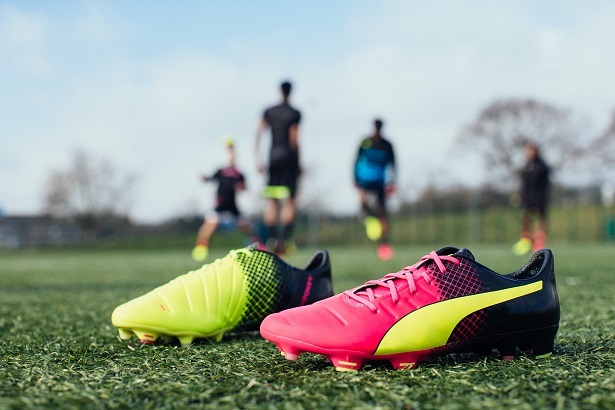 Puma have taken that idea and have created and continued with the popular Tricks lineup that started back up with the 2014 World Cup in Brazil with a pink and blue release that started the excitement behind the idea. 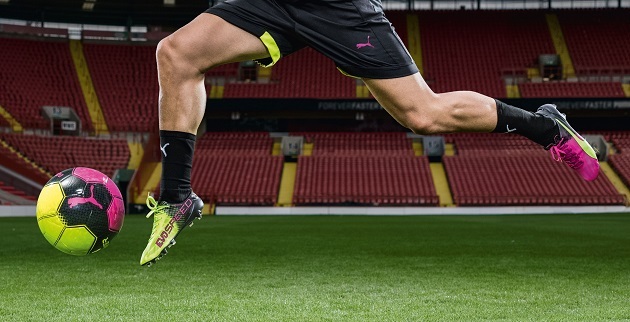 Let’s dive into the brand new evoSPEED 1.5. The next generation of speed will look to take another positive step for Puma in the speed boot game after the 1.4 made some great strides. Although we do not have all of the technical aspects of the cleat yet, we can surely expect big things from the brand for the evoSPEED 1.5. The colorway will lay out exactly like the previous Tricks colorways from Puma. The left foot will have Pink Glo fading back into black in the heel area with a Safety Yellow Puma formstripe to add even more contrast. 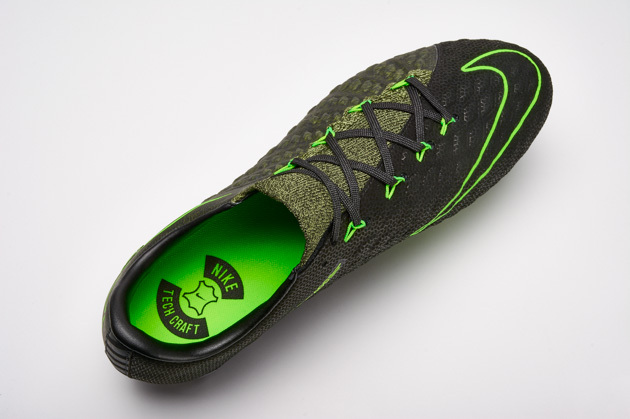 Moving to the instep, we see the word “evoSpeed” running across the inside in Safety Yellow. Moving over to the right foot, we see the exact opposite. The SL will have a very similar look to the 1.5 as the evoSPEED line will have the same layout. You can expect to see players like Sergio Agüero, Antoine Griezmann, and Marco Reus lacing up in the evoSPEED Tricks this summer in their respective tournaments. The evoPOWER 1.3 features the same setup as the evoSPEED line. 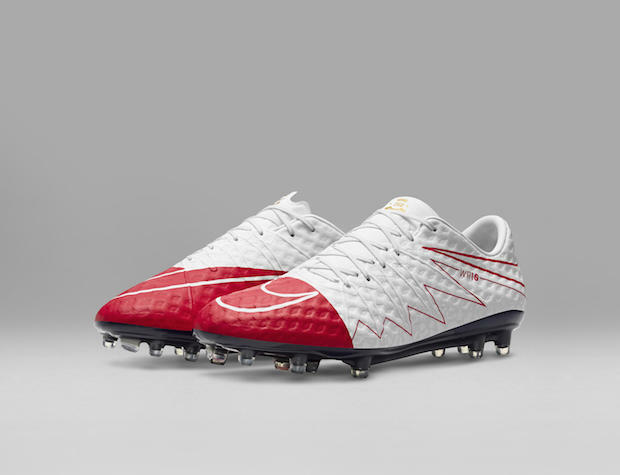 The left boot has the same Pink Glo fading back into a checkerboard pattern then to black in the heel area. The Safety Yellow formstripe runs almost the length of the shoe and adds the extra bit of pop. The right shoe has Safety Yellow fading back into black with a Pink Glo formstripe to have the full Tricks effect on both shoes. The soleplate has the same exact fading pattern which is another cool design feature Puma have added to make this Tricks collection even more awesome. 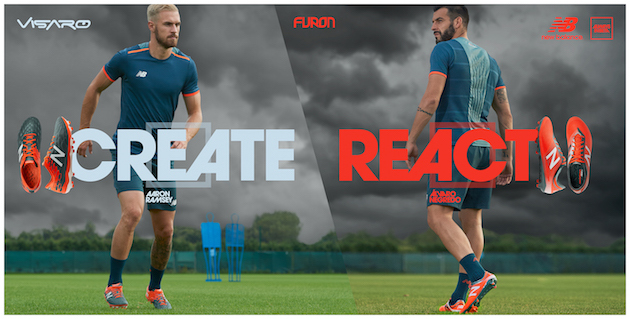 Yaya Toure, Cesc Fabregas, and Olivier Giroud will be among the players sporting the new colorway on their evoPOWER this summer. Whether you’re a Power or Speed fan, the new collection is for the bold. 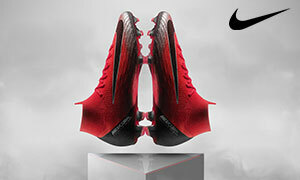 Only the bold can step out onto the field in these weapons. So the question must be asked, are you bold enough to rock these?